Time for another round of Yvo’s Shorties! This time around another two titles for the Magical Readathon: O.W.L. Edition. The first, Ink And Bone, I’ve been meaning to pick up for ages, but wasn’t as good as I would have hoped after absolutely loving the Stillhouse Lake series. 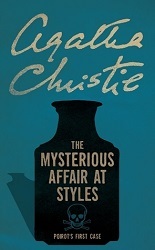 The second, The Mysterious Affair At Styles, is part of a promise to myself to finally start reading more of Agatha Christie‘s work… It was entertaining enough, but I still prefer her And Then There Were None. I have had The Great Library series on my TBR for way too long… After my love for the Stillhouse Lake books, I just knew I had to give in and finally try more of her work. And let’s be honest: who can resist after that cover and blurb? I had really high expectations when I started reading Ink And Bone, and this just might have been the problem here. I was really surprised it took me a long long time to get into the story… I can’t exactly put my finger on the way, because the writing itself is excellent, but it might have been the slowish pace or my lack of connection to the plot itself. 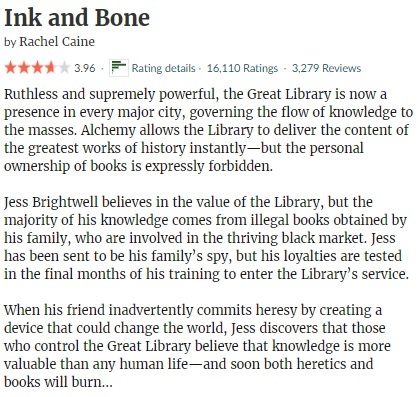 There is no doubt there is a lot to love in Ink And Bone, from the main bookish references, the idea of the Library to the main characters being trained to work for the Library and the steampunk elements… And of course the war and the Burners threatening the peace. But somehow, I just didn’t feel it. I felt some of the spark was missing, and only towards the final part did that spark finally ignite. The conspiracy plot and the promise of a whole lot more action and twists makes me curious about the second book, and the final part of Ink And Bone is definitely what saved the story for me. I’m almost ashamed to admit I’ve only recently started discovering Agatha Christie‘s books, starting with And Then There Were None in 2016. I then read Murder On The Orient Express earlier this year, going against my self imposed rule to try and always read series in order. So this is me trying to make up for that and starting at the beginning, where it all once started. The Mysterious Affair At Styles is actually her very first book and it was interesting to discover how her long career had begun. This first introduction to the famous Hercule Poirot was an interesting one. The references to the war were interesting and gave the story a little something extra. True, the pace was a tad slow and this story is more about cleverly concealed twists and descriptions than real suspense. It was interesting to see how the case evolved over time and how Hastings tried to figure out what really happened, and his interactions with Poirot himself. I figured out the basics of the ending early on, but being able to see the techniques Agatha Christie used to reach that ending was still satisfying. All in all not my favorite, but I’m definitely looking forward to continue the series. This entry was posted in 2018, 3 Star Rating, 3.5 Star Rating, Book Reviews, Yvo's Shorties and tagged 3 star rating, 3.5 star rating, agatha christie, alchemy, book review, books about books, classics, crime, detective, dystopia, fantasy, hercule poirot, historical fiction, ink and bone, magic, mystery, psychological thriller, published in 1920, published in 2015, rachel caine, science fiction, series, steampunk, suspense, the great library, the mysterious affair at styles, thriller, urban fantasy, young adult, Yvo's Shorties by Yvo. Bookmark the permalink. I’d encourage you to keep going with The Great Library series – the best is yet to come! That’s good to know! I have a copy of the sequel, so I’ll definitely read it at some point. Glad you enjoyed the Poirot. It was an interesting one, although not as good as Murder On The Orient Express. Ink and Bone definitely spends a lot of time building the world and that does take it a while to get going. However, I definitely recommend sticking with the series as it gets better and better with each book. The rest definitely have a lot more action as they start up immediately after the previous book ended. I’m definitely going to read the sequel at some point, so that’s good to know! I read the Morganville Vampires series by Caine. It was fun. It went on forever, so I never finished the series, though. I would recommend it if you want to try something from Caine, though. I picked up Stillhouse Lake because of it. If you like Sookie, you’ll probably enjoy Morganville. Oh no! 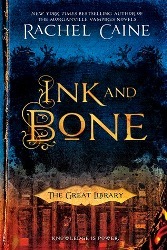 I am so bummed that Ink and Bone came up short for you. I JUST purchased a copy off Book Outlet 😦 Hopefully I have a better go of it than you did.